Taking its name from the symbol on the Polish national flag, the White Eagle saloon was established in 1905 by Polish immigrants primarily as a formal meeting place and aid station for Polish immigrants in Portland. Organizational meetings for two of the pillars of Portland’s Polish community –- St. Stanislaus Catholic Church and Polish Library –- were held in the White Eagle in its early days. To celebrate its rich and historically significant past, the White Eagle hosts a full-day of Polish and Polish-inspired fare, featuring members of Portland’s Polish community, a lively history presentation, live music, sing-alongs and traditional food and drink specials. Join us to enjoy: Polish games & crafts, and a Passport Discovery Hunt. Yaazda! Is the Northwest's premier Polish music experience! Yaazda brings a modern, upbeat vibe to the Polish music that spans generations. 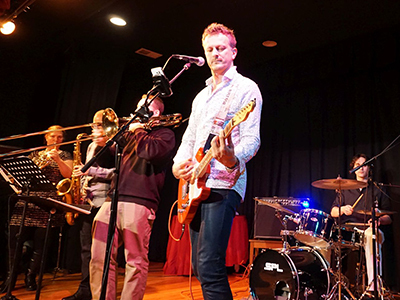 Frontman Krzysztof Bujak, originally from Gdynia, Poland, on the Baltic Sea, brings heart and authenticity to the songs; alongside his band mates, that share decades of musical experience with you in their lively performances. "These are the songs I grew up with and love, " explains Krzys, "and the purpose of Yazda is to deliver them properly, so you can't help but have fun and dance!" For the true Polish experience, come out and see Yaazda! 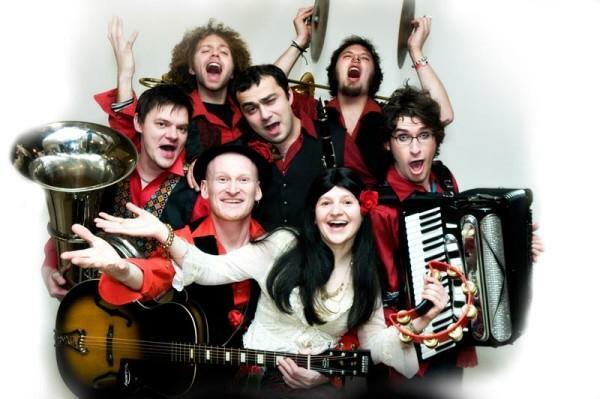 The band started practicing in Nov of 2006, and within first weeks of its existence they played at “Gypsymania” – gypsy dance discotheque created by Gogol Bordello’s debaucher D.J. Dimon. After their first public appearances they rapidly gained popularity in their hometown. In 2007 Chervona played some special appearances with world famous Manu Chao and Gogol Bordello. By 2009 Chervona have shared stage with most exciting and famous Portland’s bands including March Forth, 3 Leg Torso, Vagabond Opera, Portland Cello Project and many more. In addition to countless street and club performances around pacific NW Chervona has played quite a few big stages, among them: Bite of Oregon, Northwest Folk Life festival in Seattle, Slavic Festival and Oregon Country Fair in Eugene, Red Marines festival in California, Under Volcano Festival in Vancouver (BC), Portland Polish Festival, Portland Pirate Festival, April Fool’s Day Carnivals, Revolution Party in Portland and many others. In 2008, Chervona appeared in Hale Mednick's locally produced, directed and shot independent film Messiah Complex. Two of their songs,"Chervona Wine"and "Girlfriends are a Pain", were featured on the soundtrack. "Messiah Complex" planned for screening at the 2009 Cannes Film Festival. Chervona at its very first year playing City Repair benefit show 2007, opening for 3 Leg Torso. 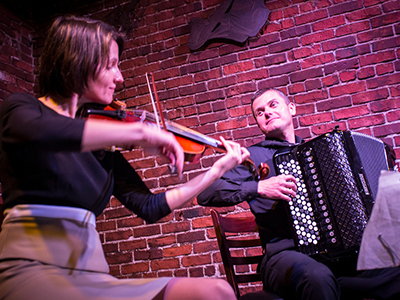 During its first 4 years Chervona has played about 200 performances all over NW of America. Thousands of people from Vancouver, BC to Los Angeles watched, listened and danced to Chervona's music calling Chervona - Best NW Party Band! Since 2008 Chervona is holding a monthly residency on every Last Thursday of the month at a legendary Portland venue, Alberta Public House with it's signature event Chervona Party! In 2011, second monthly event was added to the calender - Chervona Secret Night on every second Saturday on a month at Secret Society Ballroom. Their second show in January 2011 at Secret Society was sold out and made a record for the clubs cocktail sales - the audience danced so hard that everyone got very thirsty. As year 2011 is in progress, Chervona is focusing on producing new audio and video materials and establishing its e-net presence to gain more a solid fan base for the upcoming US and Europe tour and major label CD release. 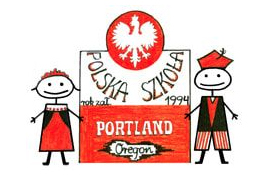 The Polish Cultural Enrichment Program, otherwise known as the Polish Saturday School, was established 22 years ago at the St, Stanislaus Parish in the North Portland Interstate neighborhood. The program’s goal was - and continues to be - to preserve the Polish language and culture in families of Polish heritage living outside of Poland.